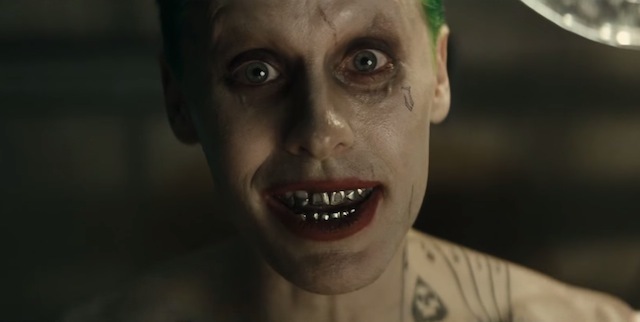 The Suicide Squad's Comic-Con has officially been uploaded by Warner Bros. after many bootlegs online, and it gives us our first look at Jared Leto's Joker and more! If you followed my coverage of Suicide Squad, you know that of all the upcoming DC movies, this is the one that I want to work because Harley Quinn and movies about villains fascinate me. So, does this teaser trailer satisfy my expectations? Well, in some ways, yes, and other ways not so much. 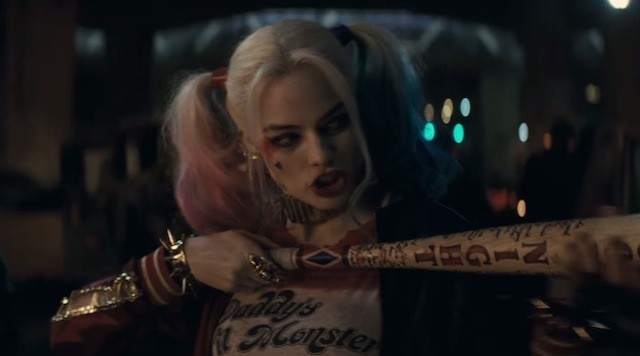 We finally get to see Margot Robbie in action as Harley Quinn! And the jury is still out on the portrayal because, she does not get many lines in the trailer. She definitely looks completely insane, and I love how she does the shotgun thing with her bat. I also like the pale skin and lack of scars or many tattoos. The backstory of her being a psychiatrist is a crucial part to the character, and the writers must keep that intact, which is my main worry. Visually, the film looks low budget, almost somewhere between television and film, which reminds me of HBO or Netflix in terms of cinematography. It seems to lack the visual skill that makes people want to see it in the theater. Obviously, I will be watching it in theater, but it almost looks less cinematic than Netflix's Daredevil, which could hurt its box office draw. With all that said, we will not know until we see the movie for ourselves. Will Smith is one of my biggest problems. He is not playing a character, he is playing Will Smith: Bad Boy version. I have a feeling that he will be given too much screentime, and while he is a fun actor, he is always Will Smith, by which I mean he rarely disappears into the role. The other Suicide Squad members appear to be cannon fodder to show off the explosive chips in their heads. Lastly, there is Jared Leto as the Joker. Well, he is so much better in action than the promotional stills lead us to believe, which is expected. However, his line at the end, "I'm not going to kill you.... I'm just going to hurt you, really, really, bad," sounds almost too similar to Heath Ledger's Joker. On the other hand, I like the facial expressiveness and body language of Leto in the clip. Aside from the stupid tattoos, Leto will probably be a great Joker, and I want to see more of him. Plus, the Batman cameo is going to be fun! What did you think? Please comment below and let me know!